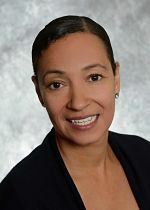 Nicole Hodson, NC, BCHNTM is a graduate of Bauman College, and the Executive Director of the NANP. After healing herself and her husband from several chronic health conditions through whole foods nutrition, Nicole left the managed "healthcare" industry to pursue a career where she could affect more positive change. 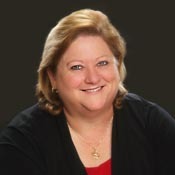 She has been with the NANP since 2007. Her passion for the industry is infectious, and she has made it her life's mission to promote whole foods nutrition and those who teach it, in every way possible. Nicole is wholly dedicated to putting holistic nutrition professionals to work, and to protecting their right to practice. She is the Chair of the Council of Holistic Health Educators, the advocacy organization for holistic nutrition professionals. When she's not working, you'll find Nicole in the kitchen. A dedicated 'foodie,' she's continuously honing her cooking skills. Nicole loves living in Northern California's gold and wine country with the love of her life and their toy poodle. Randi Dixon brings more than 30 years of experience from established organizations including the Sacramento Board of REALTORS®, California Association for Advanced Transportation Systems and the California Redevelopment Association. She also has extensive experience in meeting planning that has taken her on professional travels near and far. Randi manages NANP's Annual Conference & Expo, as well as certifications offered by the Holistic Nutrition Credentialing Board, the credentialing arm of the NANP. Sarah Lee is the newest addition to the NANP team. She is currently pursuing a degree in Human Resource Management from Sacramento City College. As the Certifications Assistant Sarah makes sure candidate's exam applications and credentialing are processed accurately, in accordance with NANP's standards, and in a timely manner. When not at work Sarah enjoys traveling to new, exciting places and spending as much time outdoors as possible. 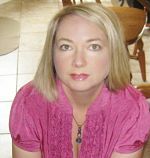 Andrea Grandson is a Nutritional Therapist and graduate of the College of Naturopathic Medicine in the UK. She also has a strong background in business administration and began her service at NANP on the executive board as Secretary in 2011 where she served a three-year term. 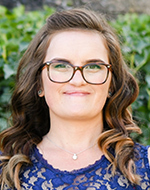 Andrea has recently joined the NANP staff team on a part-time basis as the Communications Coordinator where she plans to continue utilizing her administration and communication skills. In private practice Andrea runs The Nutrition Helpline; an online service proving personalized nutrition programs; and consumer events that bridge the gap between consumer and practitioner. Kimberly Sweet is currently finishing up an MS in Holistic Nutrition from Hawthorn University to be completed in 2017. She has a background in Speech Language Pathology working with Language Learning Disabilities. Her nutritional focus is on research and diet management for those with LPR (Laryngeal Pharyngeal Reflux) and its contributing factors in airway damage. In addition, she is working on research to develop individualized diet plans and therapy protocols for those with Ulcerative Colitis. Her future plans are to move on to her Doctorate in Holistic Nutrition with a specialty in Integrative and Functional Medicine. Kim would like to work with doctors, nurses, and nutritionists with aspects of training and research to the causes of tracheal stenosis as it relates to diet and possible unknown autoimmune causes. In her free time, she likes to cook, exercise, and read anything about nutrition and diets! 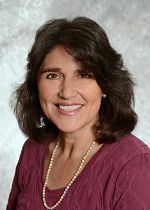 As a Development Coordinator for the NANP, Kim's role is to develop relationships with our schools, sponsors, and affiliates as well as to reach out to new potential partners. Her goal with the NANP is make it grow exponentially through increased membership. It would not be an overstatement in today's world to say that everyone should have his/her own personal nutritionist! Shannon Montoya, NC, BCHNTM has been on the NANP team since 2010 and currently works as the Educational Programs Assistant, where she uses her education & experience to perform in-depth reviews of educational programs, seminars and continuing education submissions. Shannon is also the host of "The Scoop," NANP's monthly educational webinar, providing advanced and specialized Nutrition Education. She became Board Certified In Holistic NutritionTM in 2017. Shannon lives on her small rural farm in Northern California where she teaches humane and sustainable farming practices, which includes livestock, honeybees and a bountiful garden & orchard. She was recently the driving force which brought The Caring Kitchen Project to her small rural community with the mission to prepare and deliver nourishing plant-based meals to families struggling with the challenges of cancer; with a secondary mission where the meals are prepared by volunteer teen chefs-in-training, which provides them with job skills, volunteer opportunities, and the chance to give back to and connect with their community. Most food that isn’t donated is purchased from local farms. Shannon works as the Client Liaison for the community based project. Sara Peternell joined the NANP team as the Marketing Copywriter with a strong background in both marketing and nutrition. 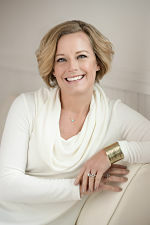 Sara earned her Bachelor of Arts degree from Drake University in 1997 and went on to have a successful 10-year marketing career in both the private and non-profit sector. She was the Website Manager for the Colorado Children’s Hospital prior to changing careers and pursuing her passion in holistic nutrition. In 2007, Sara completed the Master of Nutrition Therapy program at the Nutrition Therapy Institute. As a graduate of this renowned program, she became a Master Nutrition Therapist (MNT), and later, was an instructor at the institute for five years. 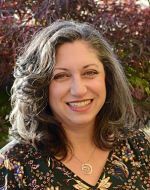 Sara has been a longtime professional member of the NANP, and most recently served on the Holistic Nutrition Credentialing Board and contributed in helping to update the exam. Sara’s nutrition practice, Family Nutrition Services, reaches clients all over the U.S., and even internationally - focusing on family nutrition, thyroid health and detoxification programs. Sara has been offering personalized nutrition services to individuals, children, families, non-profits and corporations since starting her business in 2005. Sara is co-author of Little Foodie: Recipes for Babies & Toddlers With Taste, Winner of Red Tricycle’s 2015 Best Cookbook for Babies Award. 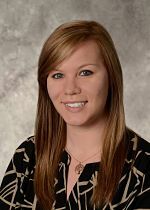 Danielle Gibbs, BS has been a part of the NANP team since 2015, and currently works as NANP's Member Relations Assistant. Dani has a Bachelor's degree in Human Resource Management from Colorado State University and uses her education and experience to handle any member related inquires or needs, management of continuing education, as well as assists in the re-credentialing duties of the Holistic Nutrition Credentialing Board, the credentialing arm of the NANP. 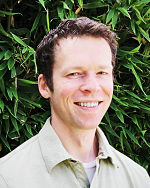 Brad Linberg is a graphic and digital designer with 20 years experience. A decade ago, a mysterious illness pushed him to change his diet and lifestyle. After seeing positive results, he became passionate about helping others use nutrition to heal their bodies. This led to receiving a Masters of Science in Holistic Nutrition from Hawthorn University in 2015. Since then, he’s combined his two areas of expertise to design branding and websites for health professionals. When he’s offline, you’ll find him in his Nashville kitchen cooking with his wife and new son. Brad joined the NANP team in 2017 and is excited to be a part of this community.